DJI’s new drone fits really well with search and rescue operation. DJI is taking one of its most recent drones and turning it into something small companies and government agencies may wish to use. The Chinese drone maker just revealed the Mavic 2 Enterprise– a modular $1,999 version of the Mavic 2 Zoom— that is a better fit for jobs like evaluation or search and rescue. 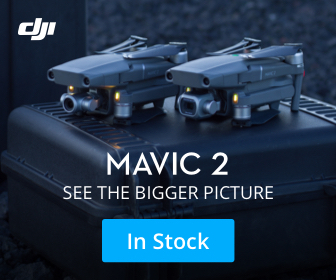 The Mavic 2 Enterprise has been elevated from the customer version in other ways, too. The drone includes a “self-heating” battery that DJI states will allow it to fly in colder weather condition. It has 24GB of onboard storage, versus 8GB on the Mavic 2 Zoom. DJI’s likewise integrated into extra security by password-protecting the drone. When allowed, the feature forces users to punch in code any time they activate the drone, link the controller, or access the onboard storage. DJI’s new drone otherwise leverages a great deal of the very same tech in the Mavic 2 Zoom. It has the same advertised 31-minute flight time, and it shoots 4K footage at approximately 100 megabits per second, and, of course, it has a 2x optical zoom. The drone likewise has self-governing flight modes and obstacle avoidance, thanks to a suite of sensors and electronic cameras embedded around the airframe.